Reading and share top 3 famous quotes and sayings about Biblical Interpretation by famous authors and people. Browse top 3 famous quotes and sayings about Biblical Interpretation by most favorite authors. 1. 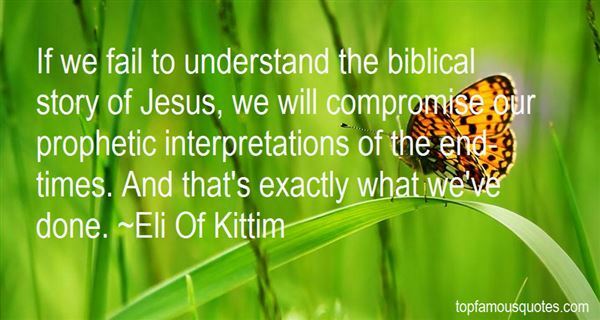 "If we fail to understand the biblical story of Jesus, we will compromise our prophetic interpretations of the end-times. And that's exactly what we've done." 2. "If this letter system works, it should be reproducible and consistent. 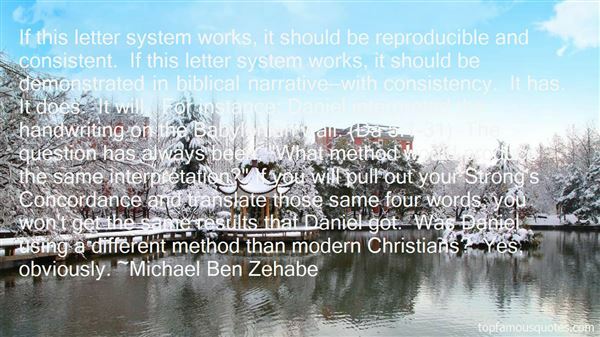 If this letter system works, it should be demonstrated in biblical narrative—with consistency. It has. It does. It will. For instance: Daniel interpreted the handwriting on the Babylonian wall. (Da 5:1-31) The question has always been, "What method would produce the same interpretation?" If you will pull out your Strong's Concordance and translate those same four words, you won't get the same results that Daniel got. Was Daniel using a different method than modern Christians? Yes, obviously." 3. "No scientist ever begins his work de novo; while he works with the methodological questioning of what he has already known he builds on knowledge already achieved and engages in a movement of advance. 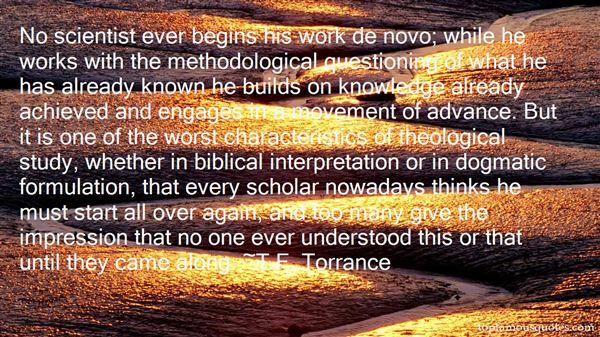 But it is one of the worst characteristics of theological study, whether in biblical interpretation or in dogmatic formulation, that every scholar nowadays thinks he must start all over again, and too many give the impression that no one ever understood this or that until they came along." I get obsessed by little nerdy things in my corner that no one else is interested in."